The first iOS 10.2 beta didn’t include the TV app that most were expecting. Instead, it features new emoji that are leaving some folks scratching their heads. 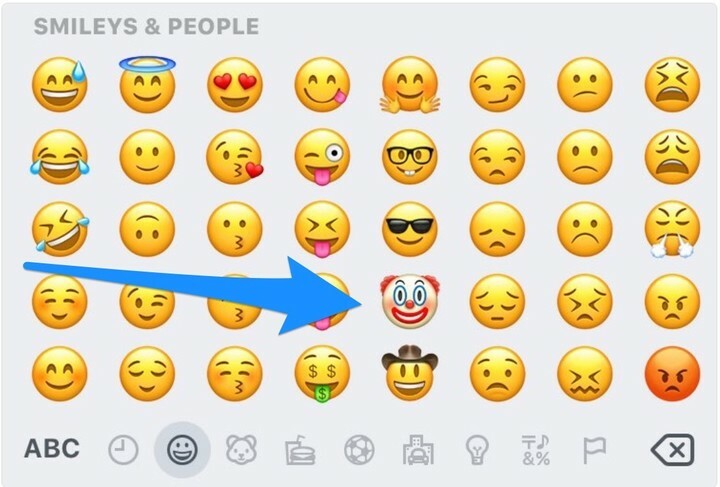 The iOS 10.2 beta contains a new clown emoji that is anything but funny given the creepy clown sightings this year in the United States. The new beta also contains a new peach emoji for the first time. It replaces one that looked like a cartoon bum. Finally, there’s a new gorilla emoji that many are calling Harambe. As you may recall, Harambe is the western lowland gorilla that was shot and killed earlier this year at the Cincinnati Zoo after grabbing a 4-year-old boy. It will be interesting to see whether these emoji stick around for the public release of iOS 10.2, which should be a few weeks. What do you think about these newest emoji?